When I first got started in trading, I was new to it right? I just learned about price action trading and I would look at a chart, a naked price chart. And I see the market breaks out. "Man, the breakout is real, it's time to go along, it's time to buy because I don't want to miss any more of the move, so I buy!" And then what happens is that, shortly afterwards, the market reverses and I cut my trade and I suffered a loss. I keep doing this a lot of times! Every time the market stages a strong rally, the stronger the momentum, the larger the candles, you can be sure I would buy that kind of breakout. It's only after I've been in the trenches for years, I realized that "Hey, chasing this type of breakouts is a losing money proposition." Now, the question is how do you actually avoid false breakout? That's what today's video is all about! How do you avoid false breakout? The first thing to let you know is that there is no way you can avoid false breakouts completely. You are still going to get caught on a false breakout, but you can minimize the chances of you getting caught in a false breakout. 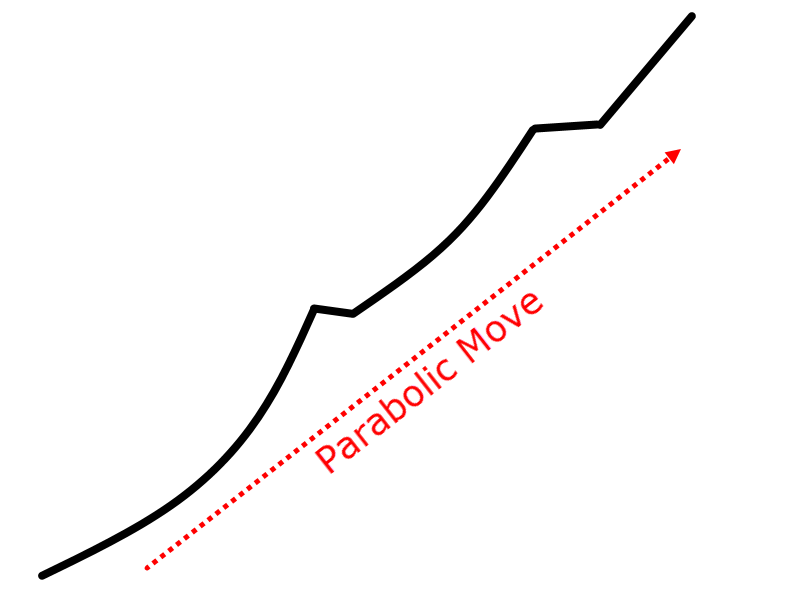 Parabolic moves, they are in essence what I've just described earlier. When you chase a market where it's making a strong move or a parabolic move, there is no floor to support these higher prices. If the market were to reverse, it would find a floor or support, where potentially buying pressure could push the price higher. These types of move are more sustainable, because they are a series of higher floors along the way to support higher prices. It goes straight to the moon, those are the type of breakout trades that are likely to fail. Do you want to be buying at this point and time? Because on my experience based on my own trading account, I know that this in the long run is a losing proposition. What happens is that the market has gone parabolic. If you want to buy now, it's too late. In fact, you want to stay away, stay on the sidelines. Number two, if you were to buy a breakout at this point in time. From a risk to reward perspective, it doesn't make sense. Which is basically multiplied by one from your initial risk. A wide stop loss, in essence, gives you a very unfavorable risk to reward. This is one example of natural gas. Stop chasing markets like this, because you will eventually thank yourself that you don't make this poor breakout choice in future! You don't want to be chasing breakouts after the market has made a strong momentum move. A strong momentum move towards the upside and breaks out. Again, look at the very strong momentum move towards the downside. You don't want to be chasing this type of breakouts. Again, as I mentioned, because if it reverses, it can reverse quickly towards the upside against your position! And to set a stop loss on such a trade, it's going to be very wide. If you just implement this one tip, I can assure you your breakout trades will be much more profitable going forward. Bitcoin, if you recall the mania up to 20,000, again, if you look at the chart is very similar to natural gas. And true enough, in this case, the market went up a little bit higher. This is the first tip that I have for you, don't chase breakouts. Now some of you might be wondering, "Hey Rayner, okay, I won't chase breakouts. So, how do I trade breakouts?" What is a build up? It can be a series of higher lows into resistance, looking somewhat like ascending triangle. It can be a lower high coming into support, looking like a descending triangle. Or it can be a tight consolidation at a market structure like support and resistance. I'm going to share with you a few examples of how you can trade breakouts with a build-up. Notice the range of this market is getting tighter and tighter. You'll see that the range or the size of these candles in this market is getting smaller! Up to a point where it's not even moving any more like a dead patient. You can see that when you trade breakouts, you want to see this phenomenon, you want to see the range of the candles getting tighter. Which is to avoid trading breakouts when there's a large bullish momentum. In fact, you want to be trading breakouts when there is a buildup, where the range of the candle is getting smaller and smaller. This is what I call a build-up. In this case, it's in a form of a descending triangle, lower highs coming into support. Also, from a price action perspective, just to add on a little bit of a tip, notice the buyers are getting weak, right? Telling me that they are getting weak. They're able to push the price lower and lower. And that's where you get your descending triangle. That's one example of a build-up. Notice the consolidation is nice and tight, this is a sign of strength. Because when the price is at resistance where there’s a potential selling pressure to push the price lower. There is no selling pressure around . There are strong buyers that are willing to buy at higher prices. Whatever the case is, this is a sign of strength! In this case, you can see that there is build up. You can set your stop loss one ATR below it. This market structure is like a barrier to prevent the reversal from having easy passage to go through. You have a tight stop loss and you have a nearby market structure to hold up the reversal or the pullback should it come. 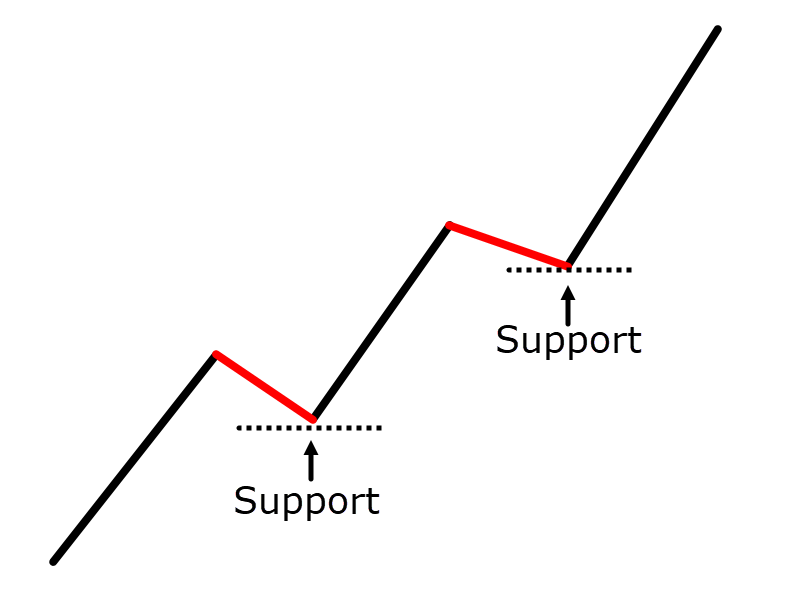 Compared to trading without a buildup, when a market reverses, there is no floor, there is no level to support the higher prices. This is why it's common to see the market reverse all the way down to the nearest market structure, which is the area of support. Right now, I hope you can see the lesson behind it, this is powerful stuff. Let's have a look at a few more examples. This market is in an uptrend, and then it went and formed a build-up. Some people might say this is a bull flag, but whatever the case is, the naming of the pattern isn't important. The understanding of the price action is what matters. Notice the range of the candles are getting tighter and tighter on the build-up like they're running out of space to breathe. Usually, when that happens, it's a sign that the market is about to break out. You might have difficulty trying to spot these tight consolidations. One tip that I can share with you is that you can use an indicator like the MACD. You want to see the histogram getting flatter and flatter. If you don't want to use the MACD, you can also use the Average True Range indicator. Whichever you use is truly up to you. But I think that visually, the MACD indicator makes build-up easier to spot. Of course, there are other indicators to help you identify the reduction in the volatility of the market. So, go with whichever that you prefer. If are a price action trader, you can actually see these are through your naked eye. You can see that prior to the breakdown, the range of this histogram is getting flatter. When there's volatility, the histogram has peak and troughs. But when volatility has shrunk, notice that it becomes like a dead ER patient. And that's where you want to be trading the breakout, not trading a breakout when volatility is high, not when momentum is strong. Another tip to share with you is that whenever the market breaks out if you see such strong momentum where the histogram is at its peak. It's a sign to you that you want to stay away from the market. Your MACD histogram is at its peak. This is a sign that you don't want to be chasing the breakout. You can use the MACD to help you identify build ups and identify momentum so you can enter high probability breakout trades. Let’s just have a look at one more example before we conclude this video. This is a sign of strength, telling you that buyers are willing to buy at these higher prices. Notice the range of the candles getting smaller and smaller. The market did break out in this case and it happened to be a winning trade. Of course, it's a winning trade because I cherry-picked a few of these charts to illustrate my point! 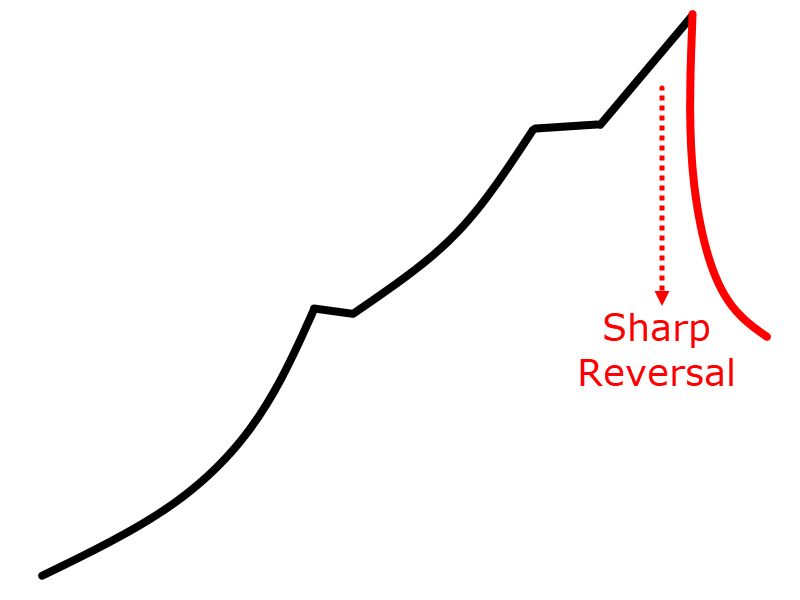 Stop chasing parabolic moves. If you see a strong bullish momentum, you see the candles are getting larger, don't chase the parabolic move. You want to trade and breakouts with a build-up. This is how you would want to trade and breakouts. And I promise you, if you follow these two tips that I have just shared with you, you'll find that your breakout trading will improve dramatically.